AMD announced a new line of Ryzen Pro Mobile processor chips they’ve created for light-and-thin notebooks. 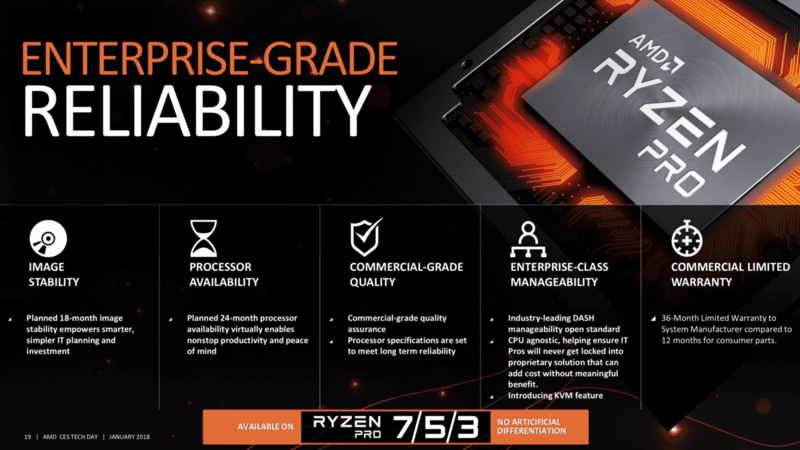 The Ryzen Pro Mobile series goes for business and commercial markets as they come with a variety of features to satisfy the professional segment. On the hardware side of things, the CPUs are similar to the Picasso APUs AND announced during CES 2019. AMD is also improving its Athlon 300U to the pro series as a strategy to keep pressing low-end markets. The company wants to capture budget laptop and Chromebook manufacturers with its lineup of ultra-cheap CPUs. 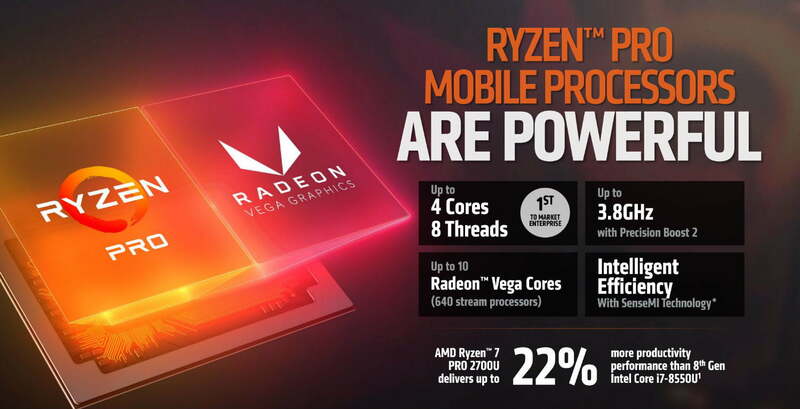 AMD Ryzen Pro Mobile. Source: Kuam News. These new series of chips are the improvement of Ryzen Mobile 3, 5, and seven processors. 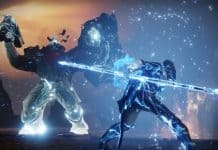 Said CPUs are armed with Zen+ CPU and Vega graphics. The integrated GPU comes in an SoC (System on Chip) design. The upcoming Zen+ includes sophisticated multi-core boost algorithm that improves everyday use. The cores also pack reduced cache and memory latency. AMD has moved from its 14nm nodes to a more technological 12nm process that enables higher clock speeds with a similar power range. The new process allows AMD to optimise the processors. The result is about 100 to 200MHz of extra speed for the CPU cores in comparison to the previous generation model. Similar to the last-gen Mobile Pro parts, both the Ryzen 7 and the Ryzen 5 models ship with four cores and eight threads. The Ryzen 3 CPU comes without threading. Furthermore, the chips support DDR4-2400 memory. AMD Ryzen Pro Mobile. Source: Notebook Check. These chips have GuarMI suite which includes integrated cryptographic acceleration. These processors also support the full spectrum of AMD’s secure features, like Windows 10 enterprise security support plus TPM/TPM 2. Then, Ryzen Pro models include a sandboxed Secure Processor which manages security features. 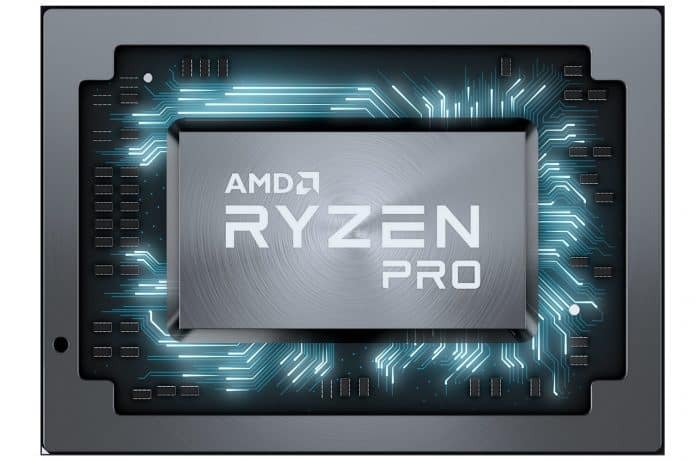 The Ryzen Pro Mobile processor also packs image stability, essential to guarantee drivers remain unchanged for some time. These enable enterprises to use images over the long term. AMD guarantees 24 months of CPU availability plus 18 months of image stability. AMD upgraded its Athlon 300U to the Pro lineup. 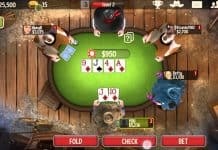 It’s now a dual-core four-thread chip opens even more opportunities for the tech company on the low-end segment. AMD provided some benchmarks against Intel’s Core i7-8650U, the i5-8350U, and i7-7600U. They claim solid wins in various test, PCMark 10, 3DMark 11, 3D modelling, photo editing, and visualisation workloads. Lastly, they claim more than 12 hours of battery life during general use of applications, plus 10 hours of battery life during video playbacks.